Born in 1926, trumpeter Hank Shaw was from the same East End Jewish background as Tony Crombie and Ronnie Scott, and was brought up in an orphanage where "you either joined the band or went in for boxing." He was given a cornet and began to learn. He began professionally with the dance bands of Jack Jackson, Teddy Foster and Oscar Rabin amongst others in the 1940s touring with the legendary Tommy Sampson band in 1947 and then joined Basil Kirchin before becoming a founder member at Club Eleven. Spearheaded by John Dankworth and Ronnie Scott, the Club Eleven musicians made significant recordings (Shaw recorded with Scott and vocalist Alan Dean), attracting considerable attention while playing at the less than salubrious Mack's Rehearsal Rooms in Great Windmill Street. In 1949 Shaw played for a while with Vic Lewis and Leon Roy's big band as well as many other name bands. He began playing solo jazz dates in the mid 1950s while playing with Jack Parnell (1952/3). 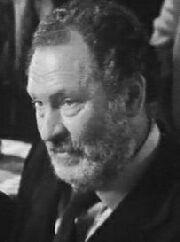 In 1954 Shaw became a key part of Ronnie Scott's nine-piece band, a unit packed with the best British modernists, including Victor Feldman and Phil Seamen. 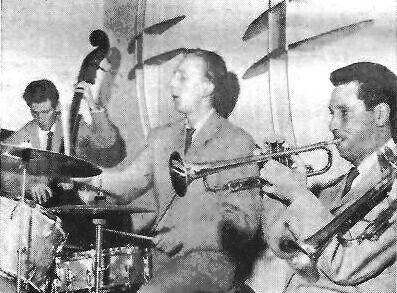 Shaw, who had replaced Jimmy Deuchar, thought it "a marvellous, roaring band" and stayed on when Scott created his ill-starred larger orchestra. He stayed with Ronnie Scott 1954/6, also playing in Scott's quintet, then played with Tony Crombie, Don Rendell, Joe Harriott (1958/60) and briefly with Tony Kinsey. He had joined Jamaican alto saxophonist Joe Harriott in his celebrated quintet in 1958 but left with pianist Harry South when Harriott sought to introduce his "free-form" concept. Hank Shaw had become a sought-after section player and soloist on orchestral recordings by Stan Tracey, Kenny Wheeler and Harry South. Perhaps his most rewarding association was cemented when pianist Bill LeSage formed the Bebop Preservation Society in the 1970s, a quintet devoted to straight-ahead modernism in which Shaw flourished alongside altoist Peter King. (Record details below). From the 1960s he successfully led his own quartet, resident at the 400 club in London. Through the 1970s and 1980s he worked with all the top players including Harry South, Tubby Hayes, Johnny Dankworth and Stan Tracey. Shaw's later years were spent leading his own quartet or performing with pianist John Burch's local octet around Whitstable in Kent. Throughout his life he loved bebop and seldom deviated from it. One critic praised his "high energy exuberance" while Shaw told an interviewer, "I play that way because that's the way jazz appeals to me." He could have added that many observers saw him as one of this country's most exciting bebop soloists. His style was based on Dizzy Gillespie and Fats Navarro, to which he added his own extrovert flourishes. He died on October 26th, 2006. As yet, none of his recorded work from the 1950s with Ronnie Scott for Esquire has been re-issued in CD format. Taboo/Second Helping/Seamen's Mission*/Lester Leaps In*. S'il Vous Plait+*/Jordu+*/Pearl+/This Heart Of Mine. Hank Shaw (tp), Tubby Hayes (ts), Dill Jones (p), Lennie Bush (b), Bill Eyden (d). Senor Blues*/Still Goofin'*/Count Twelve*/Jumpin' With Joe*. Fighting The Flab^/Darlington/Tomorrow's World/WRVR/Lifeline Suite:(Orinoco/Studio Five/Kite Flight/Defrantisity/Brass Roots^. Hank Shaw (tp), Peter King (as), Bill Le Sage (p,vib), Spike Heatley (b), Brian Spring (d). (1-PK and HS out, Le Sage plays vibes). Donna Lee/High Score/Ah-leu-cha/Warpaint/Eronel/Godchild/Whats New-1/One Bass Hit/Perhaps. Tubby Hayes (ts), Hank Shaw (tp), Peter King (as), Bill Le Sage (p,vib), Spike Heatley (b), Bryan Spring (d). Hank Shaw, Red Rodney (tp), Peter King (as), Bill Le Sage (p,vib), Spike Heatley (b), Martin Drew (d). Blue'n Boogie/Seven Dials/If You Could See Me Now (HS out)/Merry-go-round/March Of Ides/Sid's Delight/ Esmereldas/Tenderley (HS, PK out). Hank Shaw (tp), Peter King (as), Bill Le Sage (p,el-p), Spike Heatley (b), Martin Drew (d). Hamelin/Council Cakewalk/Rats/Pied Piper/Mayor's Got The Blues/Little Boy Lost/Town Band Birthday.